It has a lot to do with WHO YOU ARE as a manufacturing company. 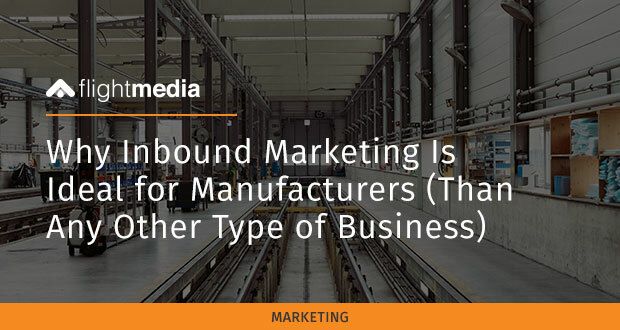 You may not know it, but your business is designed for a strategy like inbound marketing. Even better news – manufacturing companies often get BETTER results than other kinds of business. I hope so. 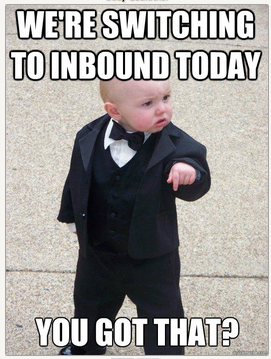 Because you have a LOT to gain from giving inbound consideration. Your business is stable and rooted. That’s good news. Because it means you have been and you are doing all the right things. You’re successful. So you don’t need to change WHAT you’re doing. 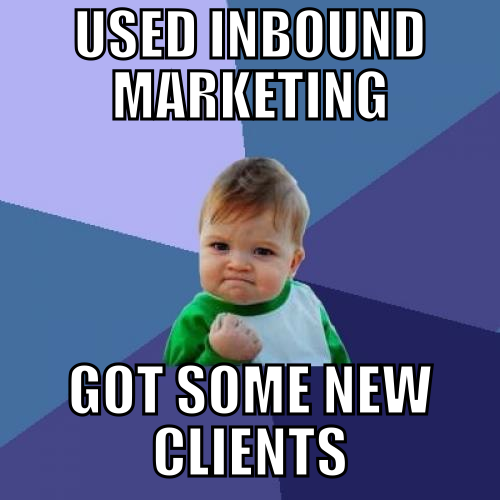 But with inbound marketing, you’ll change how you’re talking to prospects. You see, your prospects want to search for information on their own before they talk to your salespeople. Rob them of this service, and they’ll be looking at your competitor’s information, for sure. You already know who your prospects are. You know their problems. And you know how to solve them. With inbound, you’re simply tweaking HOW you market, not WHAT you market. Think of it like a rebranding that will freshen up your look and appeal to today’s modern prospects. Patience is actually a coveted quality in a leader. And your business already has it. You know that good marketing won’t happen overnight. You understand that you have to invest in marketing to get a return. Those are qualities that align perfectly with inbound marketing. Get a “quick win” so that your company attracts traffic and leads. Focus on the long game, making “organic wins” that have a snowball effect. Delegation requires trust, and in order for inbound marketing to work for you, you’ve got to trust the experts. The best leaders know where their strengths and weaknesses lie. And where they fall short, they are comfortable, even confident, in bringing in an expert. When you hire a vendor to do inbound marketing, you already have all the qualities to make that partnership successful. The inherent nature of a manufacturing business knows that efficiency and a streamlined process is at the heart of your success. The more efficient you become, the more profit you’ll see. 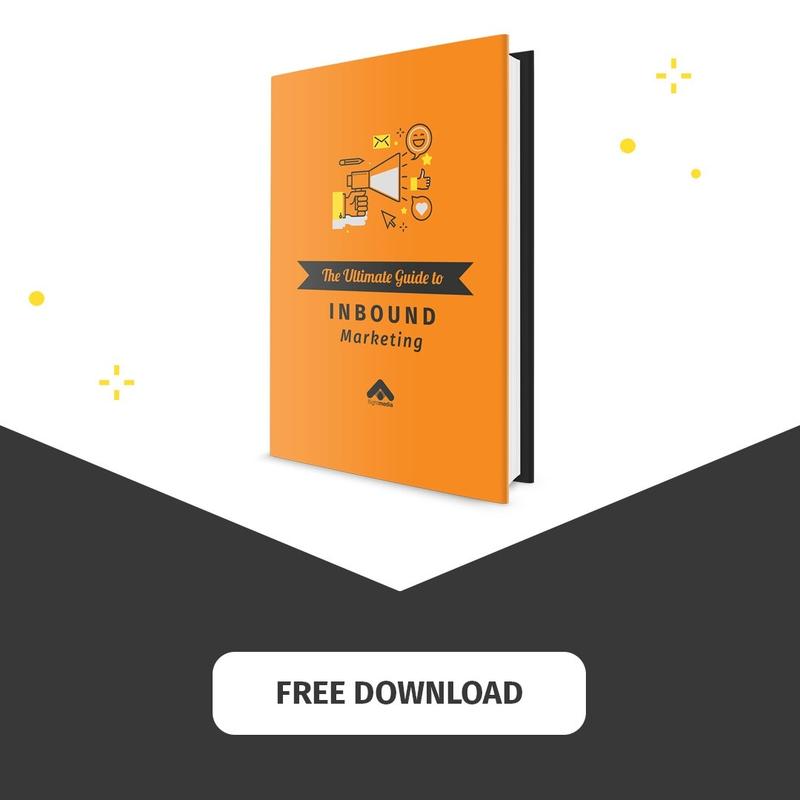 The inbound methodology is all about efficiency. It’s about testing what could work, uncovering what does work, and then building on that success. To be as successful as you are now, your leadership has learned that in order to meet your business goals, you have to make the appropriate investments. For example – and because of the qualities we’ve already discussed – you know that if you want to increase revenue by 50 percent, it’s not realistic to try to achieve that goal in three months. Or even a year. You have realistic expectations and set realistic goals. By investing in inbound marketing with the appropriate expectations, you’ll go far. Is your manufacturing company ready to take the market by storm? You have what it takes, you just need to take the next step. What challenges do you see for your company if you were to employ inbound marketing?